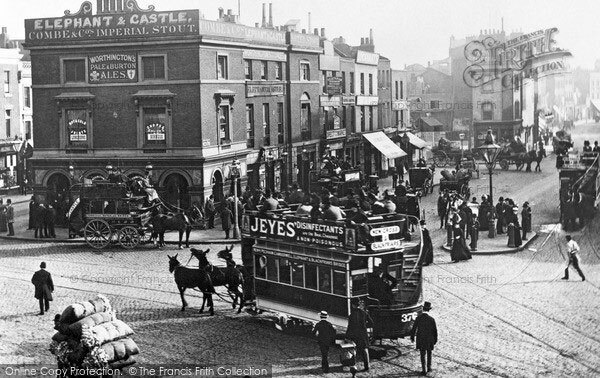 Elephant & Castle was originally known as Newington. 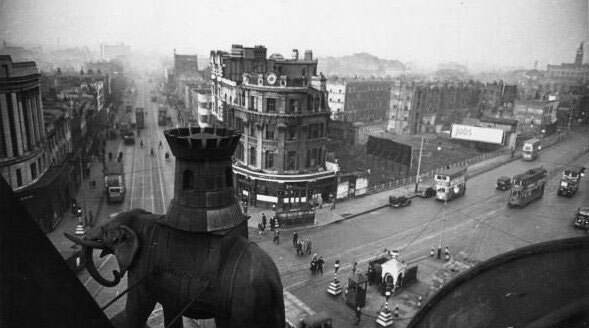 The name the Elephant & Castle comes from a blacksmiths which was converted into a tavern in around 1760. The name is thought to have came from The Cutlers Company The link here is the Indian elephant ivory used for knife handles, in which the Cutlers’ Company dealt. The link to the Infanta of Castile is thought unlikely. 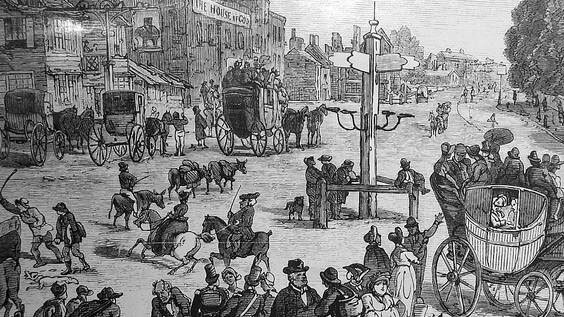 1641 John Flaxman, a blacksmith, set up a forge on an island where Elephant & Castle silver underground substation now is located. 1750 Old Westminster Bridge built. Led to new roads to Elephant. 1751 Turnpike Trust upgraded a local footpath into New Kent Road. 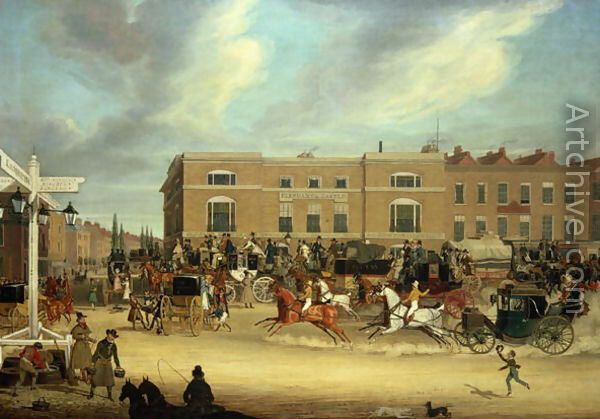 c1760 The smithy of 1641 became the Elephant & Castle Inn. 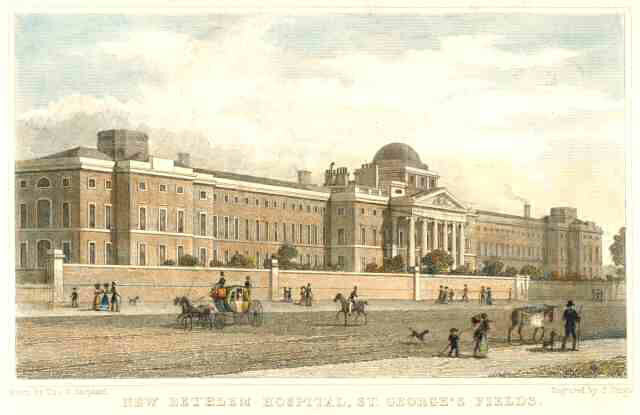 1815 Royal Bethlehem Hospital built by James Lewis. 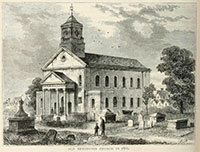 1848 St Georges Roman Catholic Cathedral by Augustus Pugin built. 1861 Metropolitan Tabernacle built at Elephant & Castle. 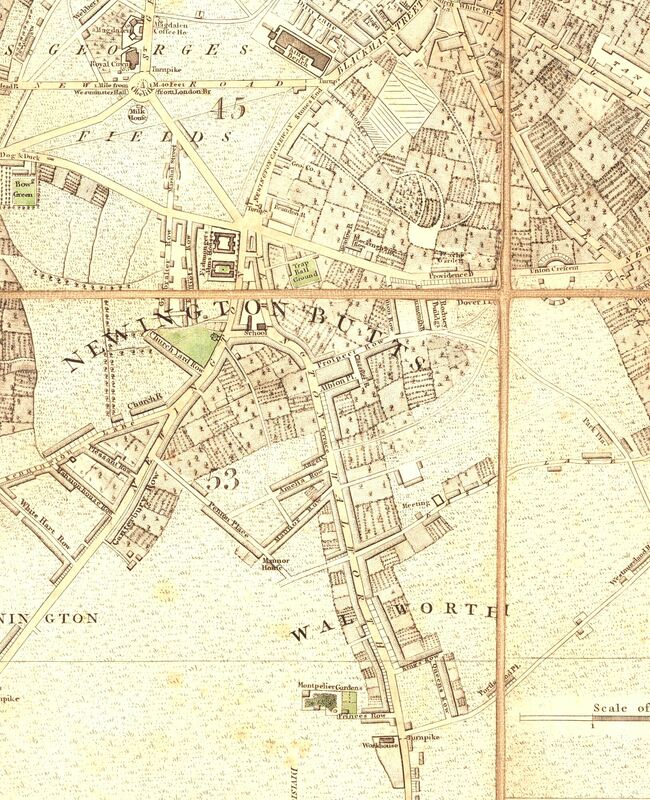 1862 Stanford Library Map of London and its Suburbs with proposed railway route shown. 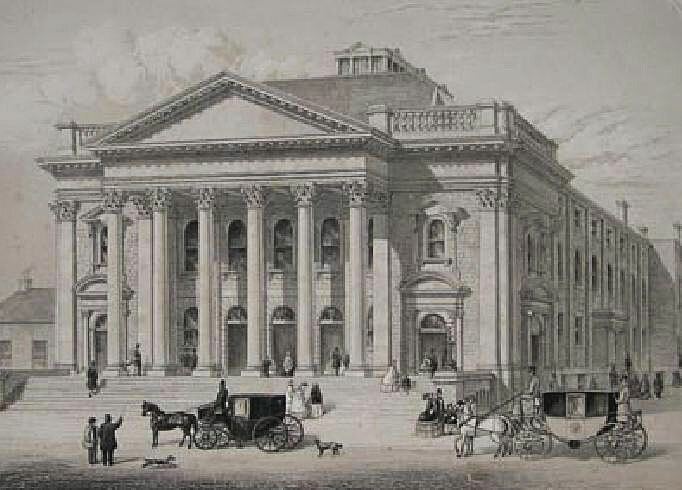 1872 Theatre Royal opened (later ABC then Coronet). 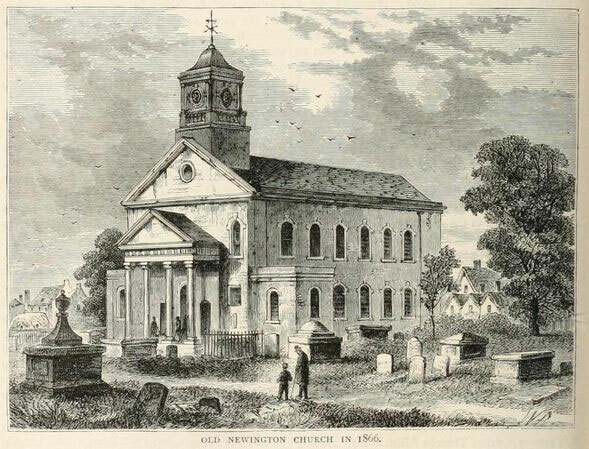 1877 A clock tower, the gift of a churchwarden, R. S. Faulconer, was built to mark the site of the old St Mary’s church. 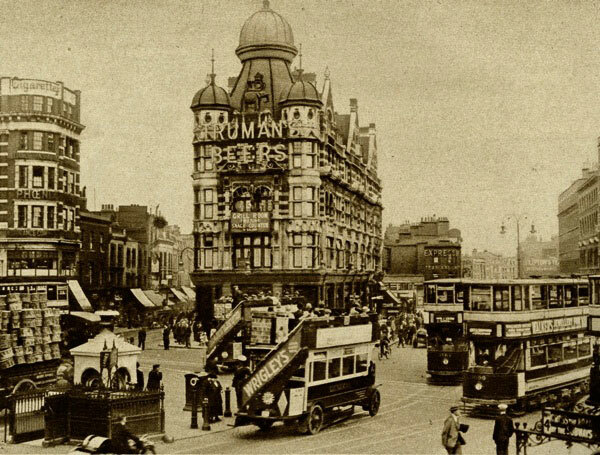 1878 Theatre Royal burnt down replaced by Elephant & Castle Theatre. 1890 Undergound linked to the Elephant. City and South London Line. Railway was first electric line. 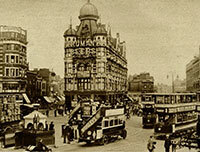 Later became Northern Line. 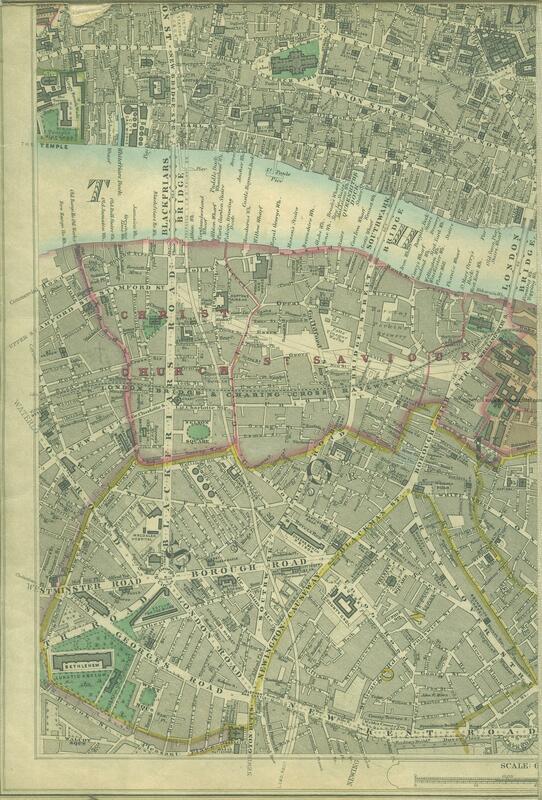 1906 Baker Street and Waterloo Railway (Bakerloo) reached the Elephant. 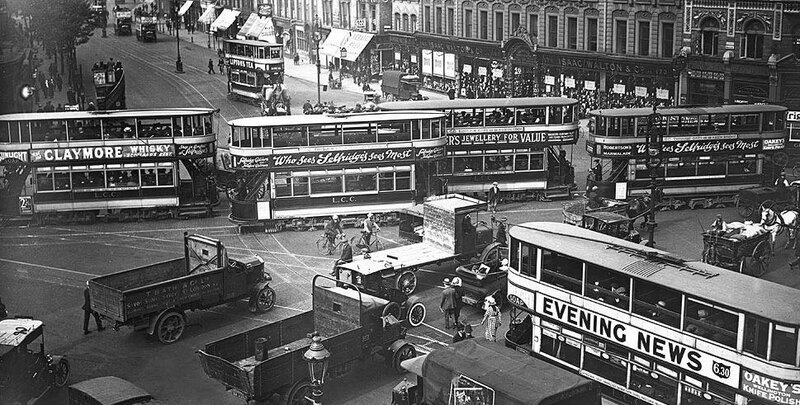 c1912 Tram terminus at Elephant & Castle. 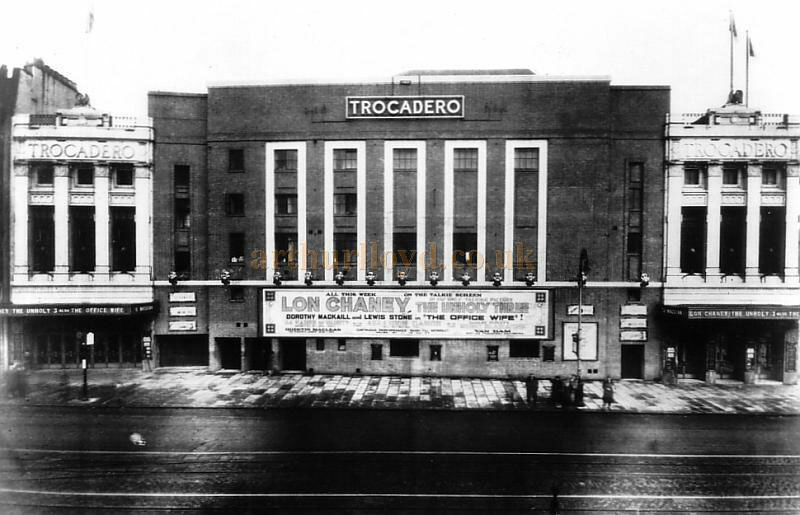 1930 Trocodero opened (3.500 seats). Designed by George Coles as a Super Cinema. 1952 The Elephant Eill Never Forget, a film of last days of the trams in London. 1961 Electricity transformer enclosed in steel as Michael Farady monument. 1962 Redevelopment plan for Elephant & Castle. London College of Printing built. 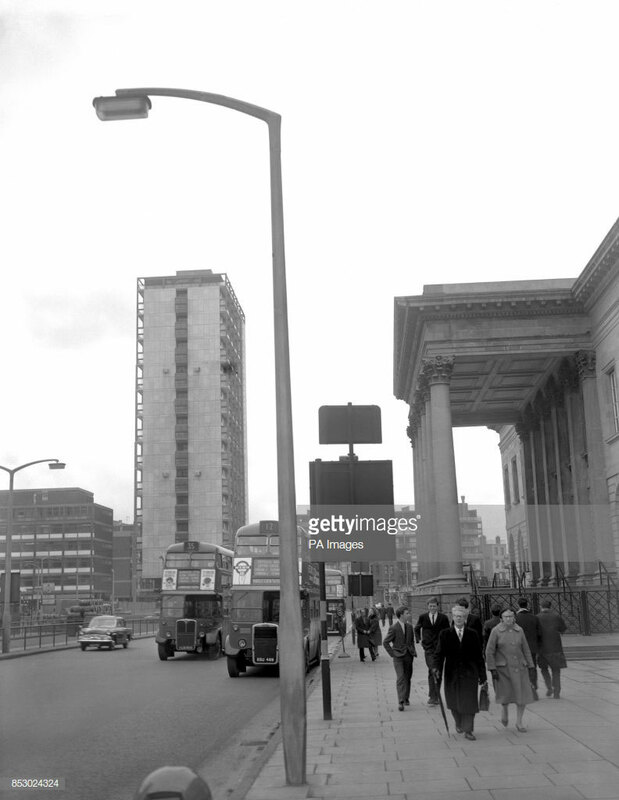 Ministry of Health (by Erno Goldfinger) buildings rep;laced it. 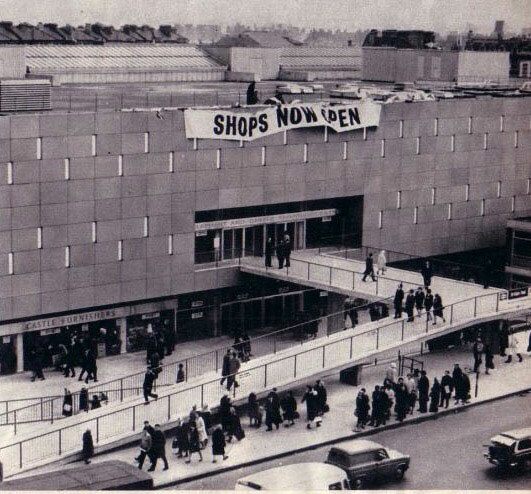 1964-5 Odeon cinema by Erno Goldfinger (on site of larger Trocadero). 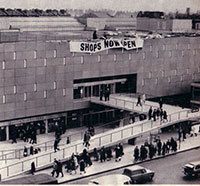 The Centre was the first covered shopping mall in the UK. Draper House opened. 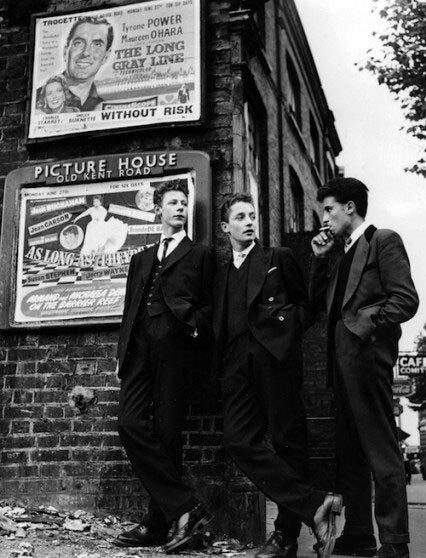 It was the tallest residential tower in London when it was built. It was in the Brutalist style but with Sicilian marble stone panelling, a suprising touch for a council block. It takes its name from the almshouses founded by the Drapers City livery company which formerly occupied the site. 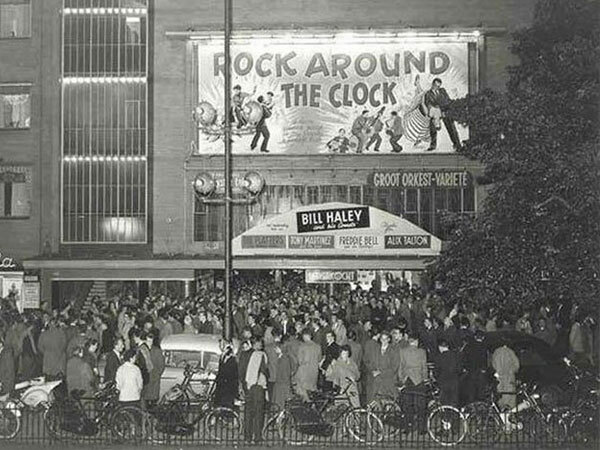 1967 Theatre Royal replaced by ABC Cinema (later became Canon & Coronet). 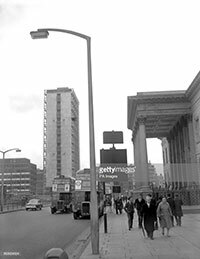 1988 Odeon Elephant & Castle closed down (now Metro Heights). 1999 Coronet closed down as a cinema. 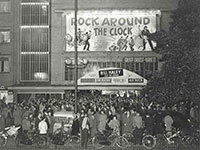 2003 Coronet re-opened as music venue. 2006 South Central East completed. 2007 Castle House & part of Heygate Estate demolished. 2008 Strata House built on Castle House site.